Following months of debate, Congress has approved a bill that will pave the way for three-wheeled vehicle manufacturers like Aptera to qualify for funding from the Department of Energy. ... 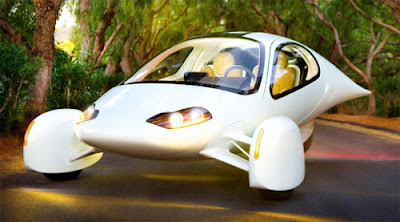 Assuming the bill passes the President's desk, any manufacturer of enclosed three-wheeled vehicles that can carry at least two adults while returning at least 75 miles per gallon will be eligible for funding, though the DOE will still approve applications on a case-by-case basis. Obama is expected to sign the bill.